What is the most popular day of the week for pub quizzes? 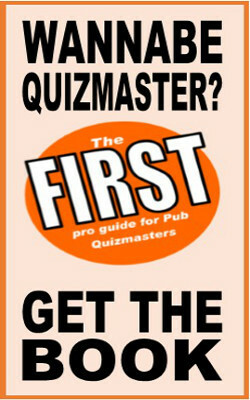 Pubs use pub quizzes to boost their crowd on quieter nights. And becuase Fridays and Saturdays are automatically busy at many bars, Thursday comes out top for pub quizzes, with Monday and Sunday close behind. The survey found no pub quizzes taking place on Saturday. What time do most pub quizzes start? Our survey found quizzes starting as early as 4pm and as late as 10.30 at night. But the clear majority of pub quizzes start sometime between nine and ten in the evening. The most common single specific start time was 9pm. How long do pub quizzes run for? Most pub quizzes are around two hours long. However, durations do vary wildly. We've heard about successful quick half-hour quizzes and even a four-hour marathon! What percentage of quiz nights charge an entry fee? Pub Quiz charges money for quiz entry? Stay tuned to dpquiz for more pub quiz surveys in the future.